For any type of business to succeed, you have to get paid. So whether you do one freelance gig a month or run a full-time writing business, you need to calculate the time you’ve worked and bill your clients for it. That means you need to know how to write an invoice. But where do you start? How do you create a professional-looking bill? What’s the best way to keep track of the time you’ve worked? Here’s your guide to creating an invoice and understanding the best options to help get you paid. What should your invoice include? The first item on your freelance invoice should be your business name, or your full name, in professional (and easy to read) font. The font size should be a little bigger than the rest of the text on the invoice, and possibly even bolded for emphasis. If you’d like to up the professionalism, create and include your own logo on the right – or left-hand side of the header. Now you’ll want to specify who the invoice is being made out to. Include the recipient’s name, address, phone number and any other info below the invoice header. Generally, your contact info should be on the opposite side of the recipient’s info. So if your business name and logo are on the right side of the invoice at the top, the client’s name and info should be below this on the left side. It doesn’t matter what kind of numbering system you use, just make sure it’s in sequential order so you don’t get confused. The due date for the invoice is totally up to you, however, most invoicing systems are set up on a 30 day, 45 day or 60 day timeframe. You can also make the invoice “Due upon receipt,” where the recipient is required to pay the invoice promptly. Next, you need to specify your payment options — whether you prefer to be paid with cash, a check, a credit card or a service like PayPal. Some companies will offer direct deposit, if you do regular work for them, but more than likely you’ll have to send an invoice to request payment every time you complete a project. Along with the payment terms, you can specify whether you charge a late fee for invoices paid past their due dates. Some freelancers like this option, to enforce getting paid on time. You may also want to include your tax ID number in this area for tax purposes. If you’re manually creating the invoice using Microsoft Word or Google Drive Templates for invoices, you’ll need to include a breakdown of the services rendered and any additional charges associated with your work. Make sure to include a column for each of the following: description of work or services, date worked, quantity, rate, hours worked and subtotal. This makes it easy to tally up the total when you list out multiple projects or tasks you’ve completed for the client. Below the total you can include any additional information, such as a thank you or a reminder. When should you send the invoice? When you work out the contract with each client (and yes, you should have a contract in place! ), you’ll list out the terms of how often you plan to invoice and when you should be paid. For instance, you can agree to bill on the first of each month, or biweekly so you get paid every other Friday. Keep in mind whether your industry is one where you invoice upfront before any work has been completed. In this case you’ll be detailing the progress of the project as opposed to doing a monthly invoice. Whatever the case, make sure to invoice your clients consistently. You’re more likely to get paid on time when your client receives invoices regularly on the first day of each month, than getting them sporadically. (Click to tweet this idea). While you can make up your own invoice or use a free template, it’s often easier to use an invoicing system that offers more in depth features. Some invoice systems, like Harvest, offer the option to create estimates for big projects, keep track of multiple clients and send reminder emails when payments are late. Another option is Freshbooks, which offers similar features but includes profit and loss sheets, as well as trackers to help you manage your time. Both of these services can be used for free or upgraded for a small fee, and include lots of other cool features, like scanning receipts for work completed in the field. The best thing about using an invoice system is that you can track your time against the amount you’re getting paid for each task. In order to run a successful business, you want your hourly rate to be profitable so you’re not losing time and money. Creating a professional freelance invoice is vital to the success of your business. If you sent your client paper receipts and scribbled notes, they would not be as likely to pay you on time and would probably question the you run your business. Take the stress out of getting paid by using a free template or an invoicing system to track your work and start getting paid on time. What tools do you use to manage invoicing for your writing business? What other tips might you offer on how to write an invoice? This post originally ran in October 2013. We updated it in May 2017. Carrie Smith is a writer, artist and ex-accountant who helps creative freelancers tackle financial mountains. When you subscribe to her email list you'll get the free Tax Toolkit: A Checklist for Self-Employed Biz Owners. 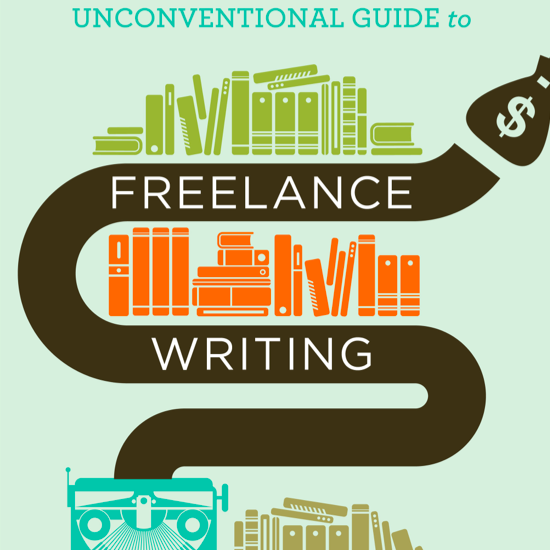 While it’s easy to start a freelance writing business, it’s much harder to actually run one. This guide will help your business thrive — not just survive. Thanks for sharing these great tips! I recently created my very first freelancing invoice using a template in Word. I must say getting the invoice to look the way I wanted was harder than I thought it would be and in the end wasn’t entirely pleased with the template options in Word. I have been contemplating purchasing QuickBooks to keep track of clients, invoicing, and financial reporting and I’m thankful you’ve offered some alternatives, I think I’ll give FreshBooks a try first. You should definitely test out FreshBooks, Chrysta. I used to work with clients who used Quickbooks and it’s a little too clunky for running an online business (although it’s very detailed). So you can try FB for free, then upgrade if you need the added features. Good luck! When I had my photography business I used Quick Books and I cried the first time I had to debit and credit my accounts. It was so frustrating. Never again! The only thing I liked about Quick books was the invoice template which I still use when needed. It’s my first time as well . Could you please tell me how to make an invoice on word ? A lot of people now do freelance work for overseas clients. So I’m just wondering whether this might make a good follow-up post. What are the best payment methods for overseas transactions? What currency should I invoice in? What taxes should or shouldn’t I levy? I’m sure loads of freelance writers have questions such as these. You brought up some interesting questions, Kevin. I’d actually love to read a follow-up post about billing international clients. Most of my clients overseas prefer wire transfers (instead of my usual PayPal). I send them my invoice as I’d normally would, but I would include my account number as well as my bank’s info (bank name, address, SWIFT code etc.) in the “note to recipient” box at the bottom. I have used many different invoicing tools. Freshbooks fits my needs the best but I was also very happy with Harvest and Paydirt. When I started my business I used Paypal’s built in invoice system and that works well if Paypal is your chosen method for payment. If you use a service like PayPanther –> http://www.paypanther.com/ (which I currently use for my business), it does all those things for you, and it’s free. Does anyone here use PayPanther? Allen, so funny you mentioned them because I was just about to reply to see if Carrie could do a follow-up mentioning other more inclusive invoice-apps (i.e., CRM programs) for us freelancers. I myself am a personal trainer so I need functional time tracking, invoicing and mobile integration in a simple package. I just started using Pay Panther and have enjoyed it, especially the mobile part. Carrie can you do a follow-up reviewing it and possibly Nimble and Zoho? I would love to read your opinion. Thanks for the feedback, Allen and Erica! Invoicing systems make everything easier, don’t they? I’ll add those ones to our list for future posts — thanks! It would great to hear some of your future posts on different invoicing systems as they sound like they could make life SO much easier for a business owner or freelancer. The few invoicing tools that would be good to learn more about are a few tools I saw mentioned in the comments like Nimble, Zoho, and Paypanther since they all look really promising. I really like the idea of a CRM to be easy to use but also really useful to a freelance business so I really like the fact that Paypanther and some of the other tools looks pretty easy to use but also have all the features I would want. We did just that! Check out this post that highlights several invoicing options for freelancers. Thanks so much for this! Writing my first invoice for my first big client this week and this really breaks it down into easy steps. I think I’ll create my own invoice rather than going through PayPal invoice creator. This article helped me out a lot! Glad it helped, Mateeka! Best of luck with your invoice! THank you for a helpful article. I appreciate your insights. Great blog post, you’ve really helped me out as just done my first sets of freelancing work so just setting up my first freelancing invoice now. Out of curiosity to US/ Canadian and UK invoicing systems differ to your knowledge or is the basis the same? I have been using FusionInvoice to bill my web development clients, it’s a really great tool that I install on my own website, although that might not be a viable solution for non-technical people, for freelance web developers I think it works very nicely. try Invoice Ape. It is easy to creates professional invoices and totally free. Roy, I just visit this site and it is really an amazing web tool for creating designed invoices and quotes. Thanks for your tip. If you like to invoice on the go, and want a convenient way to accept credit cards, check out http://www.rubyinvoice.com. Unlimited invoices and quotes are completely free, and there’s a bounty of time-saving features to help you get paid faster. Thanks for sharing! I hadn’t heard of Ruby before, but it sounds like an interesting option. Good article, Carrie! We use Quaderno (http://getquaderno.com) to manage our invoicing. We love its beautiful invoice templates and we can connect it with our Stripe or Paypal accounts to take payments online. I started my freelance business at the beginning of the year and have been very happy using SideShark for my invoicing, as well as for keeping track of my clients and projects. By the reviews on their website, it appears to be popular with freelance writers. I like that it downloads onto my MacBook and is free. Also, to add to your comments, SideShark works beautifully on both Mac and Windows computers, and there are no recurring fees. All the best! Thanks for sharing this resource, Daniel! Love the detail you put into the article. I have been hearing a lot of great things about an invoicing CRM called Paypanther(http://paypanther.com) and wanted to hear your opinion. Please review soon and keep up the great work. Hi Ariel, another writer reviewed Pay Panther as part of a post on invoicing systems — check it out! I agree that it is super important to have a well organized invoice. If you don’t then you are hurting your chances of getting paid on time. It is best to also make sure to talk to your client about the layout of your invoice. That way, they know exactly what they are being charged for. Your step by step guide is SPOT ON! One way of creating an invoice is through any online invoicing software. My company has developed one specifically for bloggers, freelancers and small businesses.